David Nienhuis | Amazing Lookalike! On the left is David Nienhuis, Associate Professor of New Testament Studies at Seattle Pacific University. 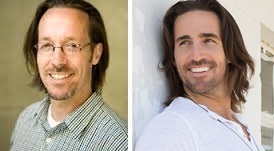 On the right is country music artist and heart-throb, Jake Owen, singer of such hits as “Barefoot Blue Jean Night”.